Roaming the earth by bike. Page of a bicycle traveller. Welcome to a bicycle traveller's page ! This is the page of a guy who loves travelling. Was born and brought up in the northwest of Germany, a region called "Münsterland". Because it's one of the most beautiful regions for cycling in Germany I spent most of my youth on a bicycle already. Which eventually let me "grow" into a so-called "long distance cyclist". Quit my job at the beginning of '95. And have been travelling & experiencing, with only a few breaks, the globe since. But it's not only cycling. If it's somewhat unique, I love to ride trains and do some hiking as well. I prefer extremely vast, lonely and deserted places; and fell deep in love with mountains and deserts. They are by far the most interesting to me. If you've got questions regarding the trips, or have been cycling lonely places yourself - I'm always interested in new ideas! - drop me a mail! I'll be particularly grateful for mails from other bicycle traveller!! Long distances with no supplies available en route .. There are routes where you can't get water and/or food for 200 km and more. I'm sure everyone agrees that cycling such routes - especially if tracks - need some special preparation and experience beforehand. Once you got your essential list together you'll always come back to it. No matter if you intend to take off for 3 month, 8 month or 5 years. It will only take a few "adjustments" and you're all prepared for your next destination. UPDATE 2007: Keep getting mails about the selfmade Frontrack / Lowrider system. So decided to upload a drawing and some pictures of it. 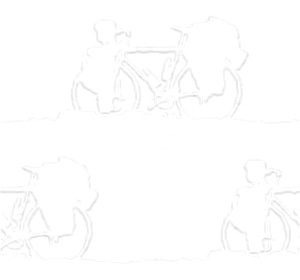 An overview of the different stages of route planning for long-term travels by bicycle. Beginning with the first 'idea' up to the finally taken route.